Evanston Mayor Elizabeth Tisdahl listens to residents debate a proposed ban on assault weapons at Monday's City Council meeting. Aldermen unanimously voted for the ban, which went immediately went into effect. Evanston aldermen unanimously approved an assault weapons ban Monday night, just six days after Illinois enacted the last concealed-carry law in the country. Although the state legislation contains significant restrictions on local communities’ ability to regulate guns, it does allow cities to criminalize assault weapons, as long as any ban is passed by Wednesday. 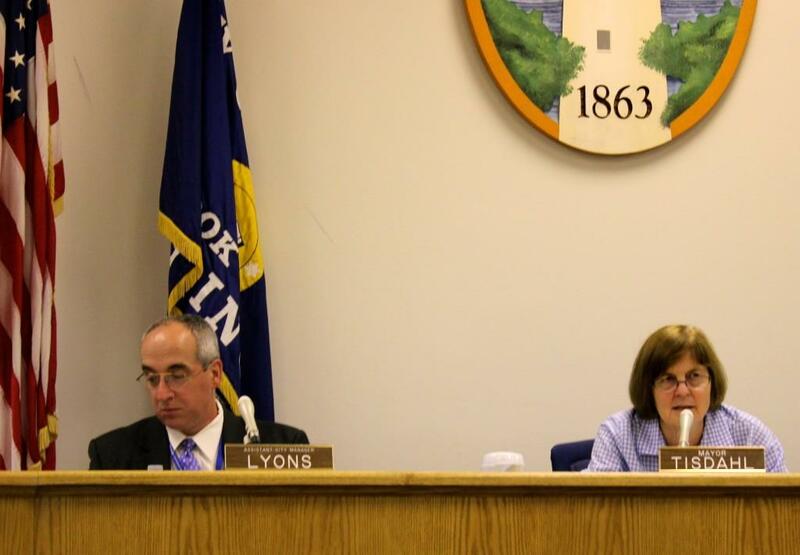 Evanston passed its ordinance with three days to spare before the state deadline. The new ordinance amends city code to criminalize the possession, transfer, sale or display of assault weapons, with exceptions for military personnel and law enforcement. The legislation approved by the council permits federally licensed firearms collectors to own assault weapons, a significant change from the original draft. The draft was also revised to exclude hunting rifles from being classified as assault weapons. Last week, Ald. Don Wilson (4th) moved to postpone the council’s vote so amendments could be made. While the city’s legislators were in agreement, its residents were not. Monday night’s meeting marked the third consecutive one in which people on both sides of the debate gave emotional and fiery arguments for and against the ban. Gun control activist Carolyn Murray, whose 19-year-old son Justin was fatally shot last fall, has appeared repeatedly before the council in support of the ban. On Monday night, she wore a black hooded sweatshirt to protest George Zimmerman’s acquittal in the the murder of 17-year-old Trayvon Martin. “No mother should have to bury their child due to any type of gun violence,” Murray said, tying the circumstances that led to Martin’s death to Evanston’s own turmoil on the streets. Shortly after Murray spoke, about 20 teens, all wearing hooded sweatshirts, approached the podium to echo Murray’s message and encourage the council to approve the ban. “I am Trayvon Martin,” each repeated after the other. Mike Weisman, a vice president of the Illinois State Rifle Association, disagreed that the ban could reduce gun violence in Evanston. Evanston Police Cmdr. Jay Parrott has said an assault weapon has not been involved in any major crimes in the city in recent memory. “This so-called assault weapons ban does nothing to do anything about crime or do anything about the other problems facing the youth in Evanston,” Weisman said. This is the first significant amendment to the city’s firearm code since 2008, when aldermen overturned Evanston’s handgun ban because of a lawsuit from the National Rifle Association. Weisman said he was not sure the latest ban would “stand up” in court. When the council introduced the legislation last month, at least one resident threatened to sue the city for violating the legal rights of citizens.